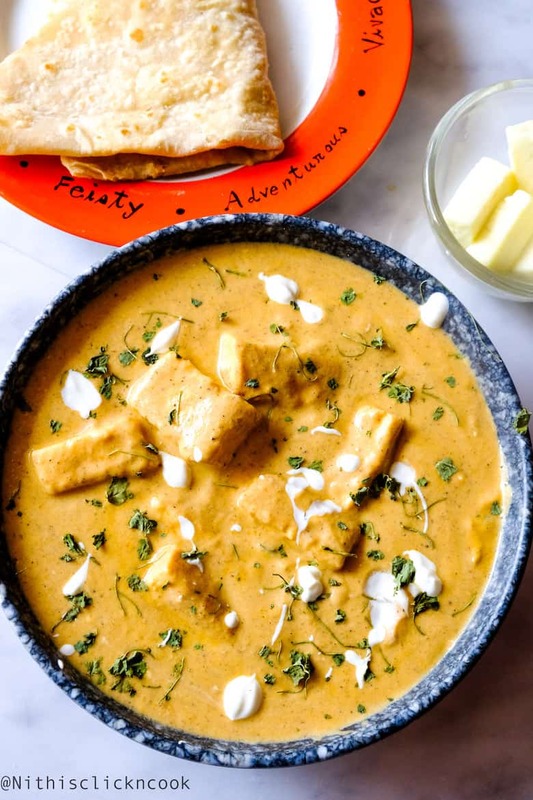 This Shahi Paneer recipe tastes straight out of the restaurant, it’s wonderfully lusciously creamy, silky, mildly sweeter, bursting with flavours.This Going to be your New favourite at home because it’s GORGEOUSLY PERFECT with minimal effort! Shahi means “Royal”. 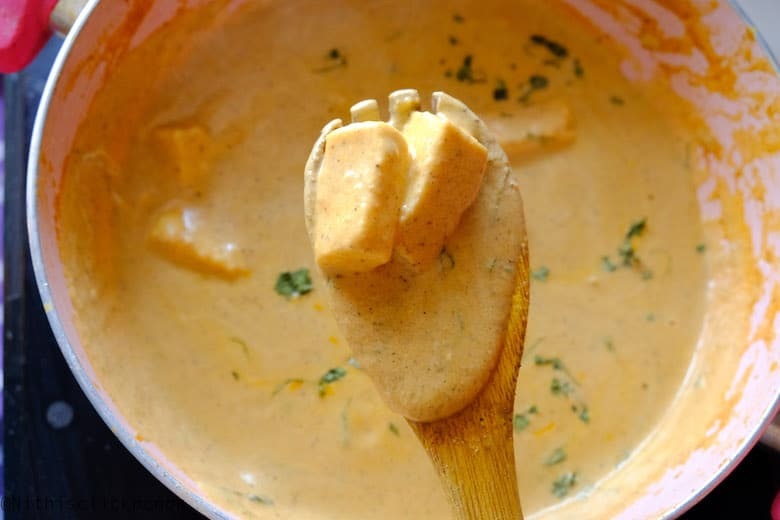 It is the preparation of paneer/cottage cheese in a thick cream&milk based gravy, originating from India. The taste and flavour of the shahi paneer are Rich and mildly sweeter. 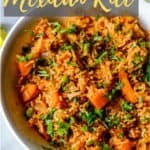 How to make Restaurant-style shahi paneer recipe? 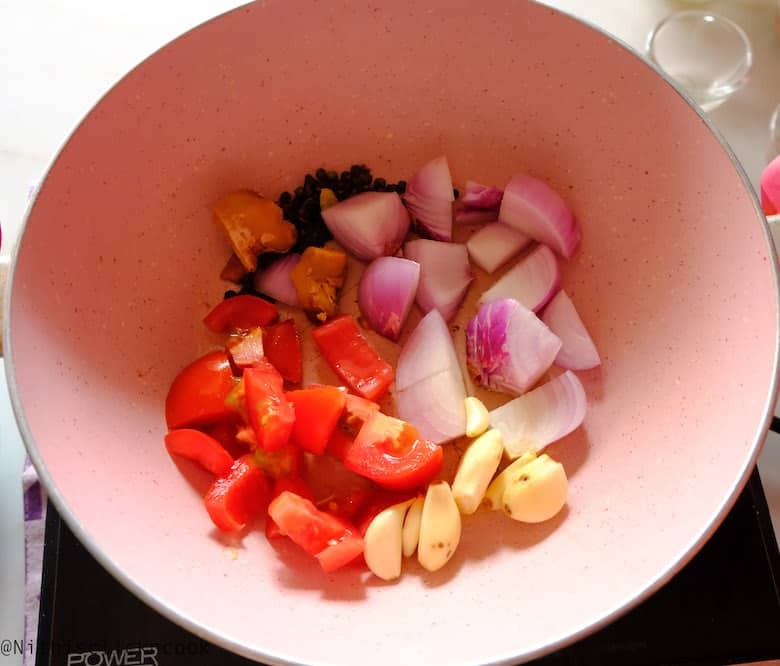 Firstly Saute all the whole spices, onion, tomato, garlic, in butter and grind to a smooth paste along with soaked cashews. Then, Saute the chilli powder in butter, mix in ground the onion-tomato paste and bring to boil. 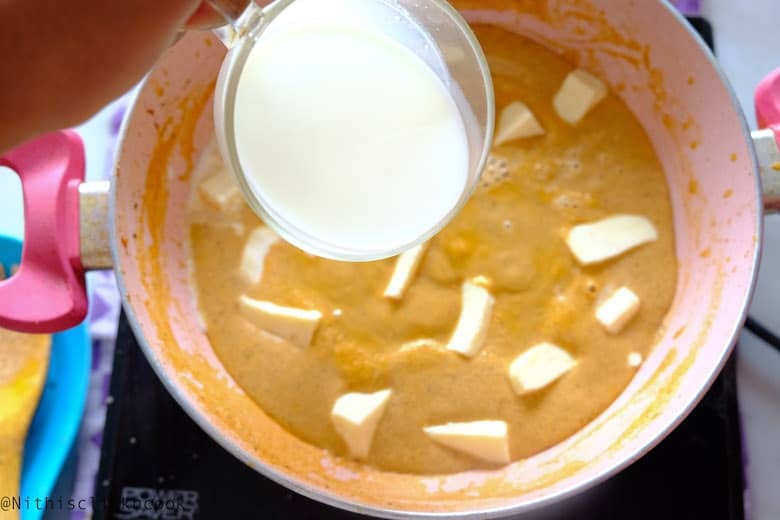 Add paneer pieces, milk and cream, cook till the paneer has softened. 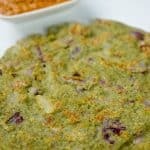 Sprinkle some crushed dried fenugreek leaves. 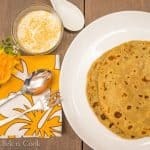 How do you make Shahi Paneer in Instant Pot? 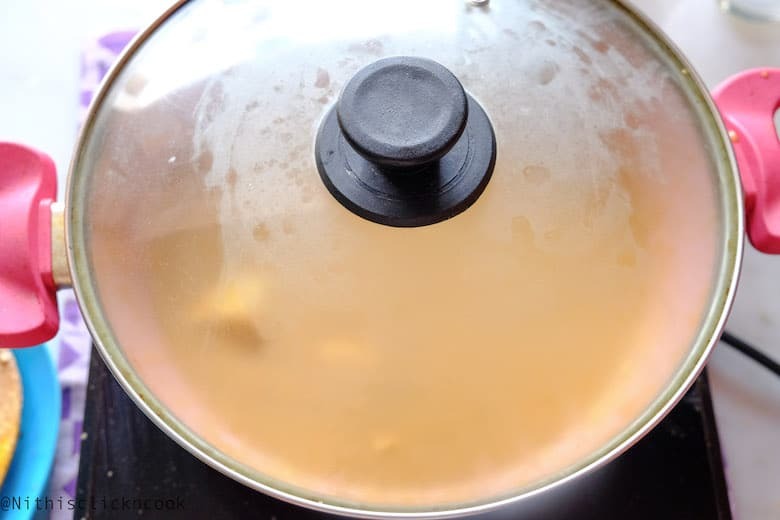 Turn instant pot on SAUTE mode, add butter, whole spices like cinnamon, pepper, cardamom, onion, tomato, garlic, ginger keep in simmer for 4 to 5 mins until the onions turn translucent. Cancel SAUTE. 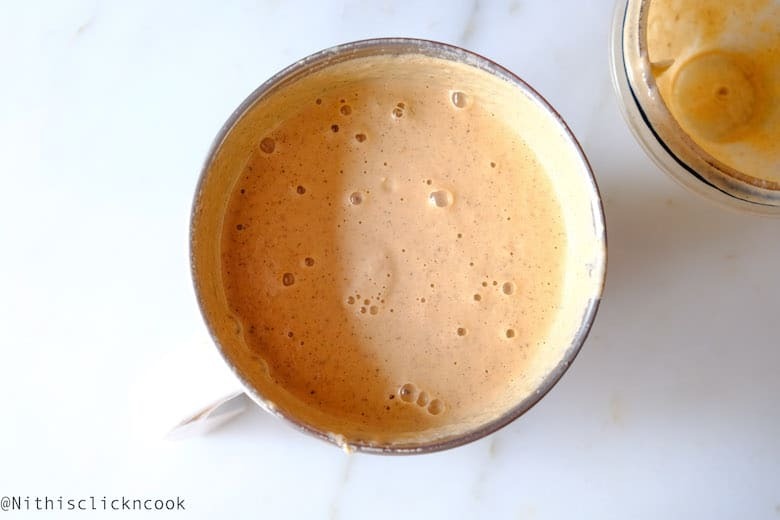 Bring down to room temperature, grind to smooth paste along with soaked cashews with water. Turn Instant pot on SAUTE mode, add butter, chilli powder, ground onion-tomato paste and simmer for 5 to 10 mins until the gravy boils. 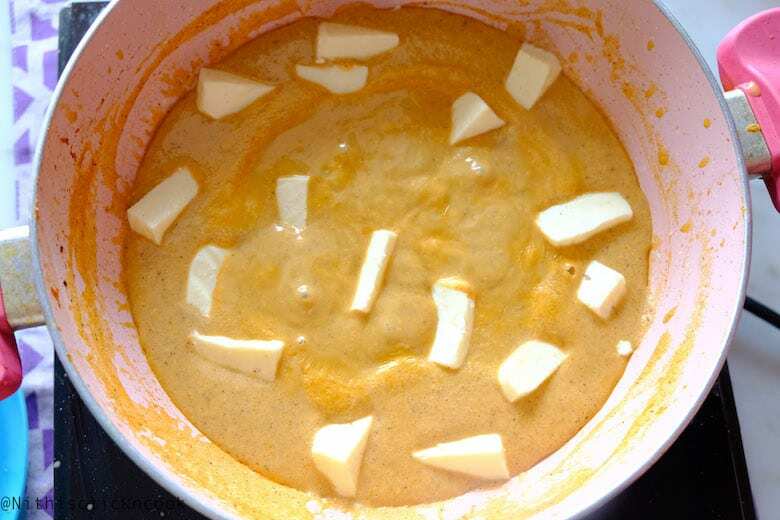 Then add paneer cubes, milk, cream. Cover with lid and simmer till the paneer has softened. Cancel SAUTE. 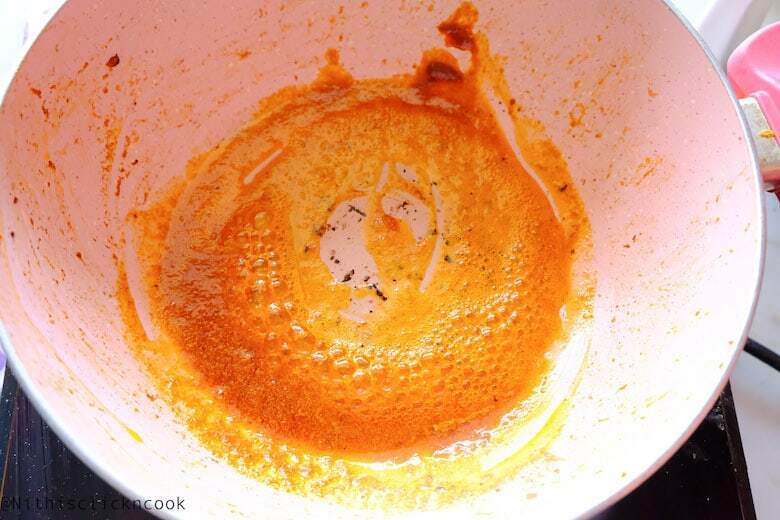 Open the lid, add 1 tbs of crushed fenugreek leaves. 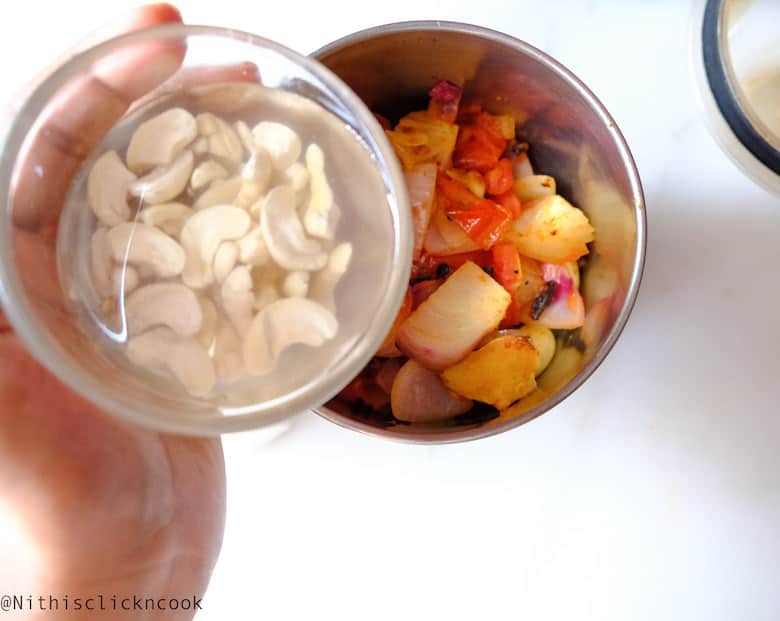 Shahi paneer with almonds: Soak 5 to 6 almonds along with cashews in a bowl of water. This makes the gravy super-rich and delicious. 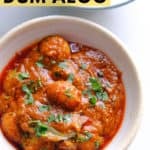 Shahi paneer with capsicum: You can add capsicum along with paneer pieces and cook till the capsicum is slightly crunchy. 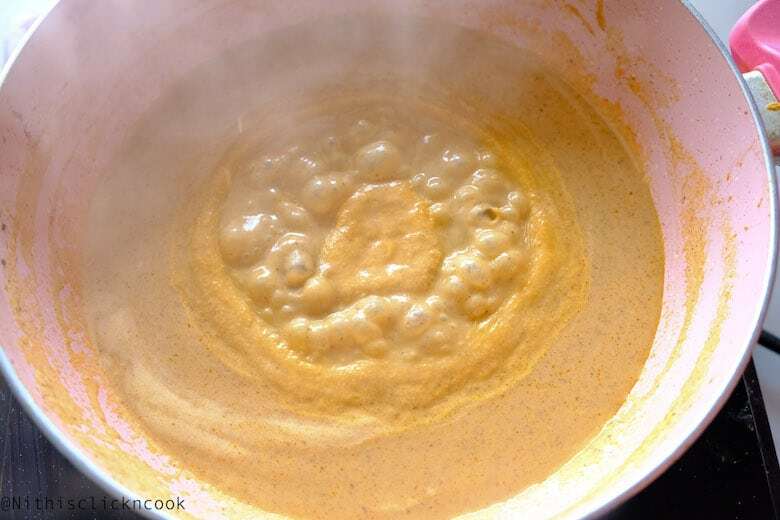 Shahi paneer with khoya: Khoya or mawa is the dried evaporated milk solids If you would like to add , mix 3 TBS of grated khoya once you add the onion-tomato paste and proceed with the method. 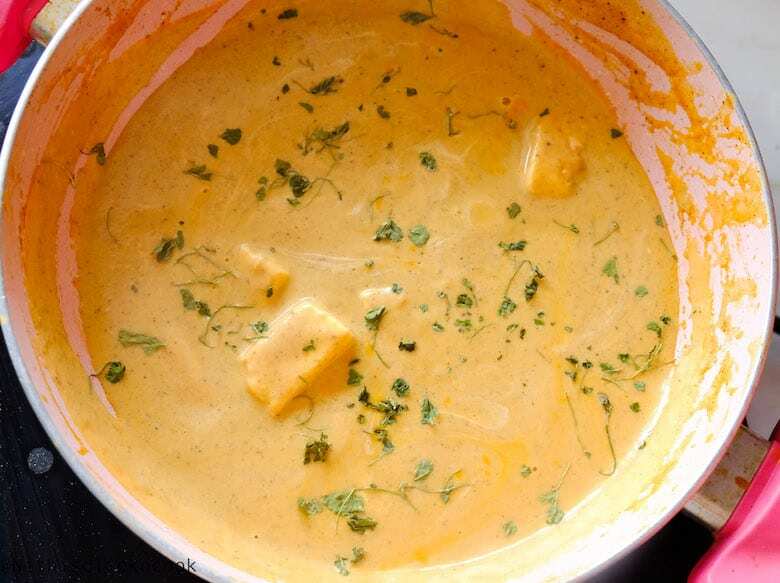 Shahi paneer with yoghurt: You can add 2 tbs of yoghurt in gravy once you saute onion-tomato masala. 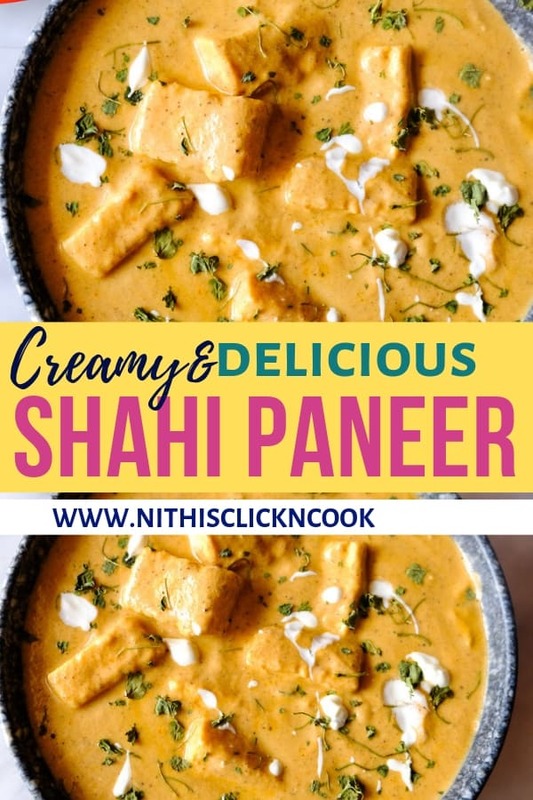 Shahi paneer without onion-garlic: You can skip onions & garlic for this recipe and proceed with the cooking. You can double the number of tomatoes and 1 tsp of sugar to control the sourness. This way we get yummy shahi paneer without onions &garlic. 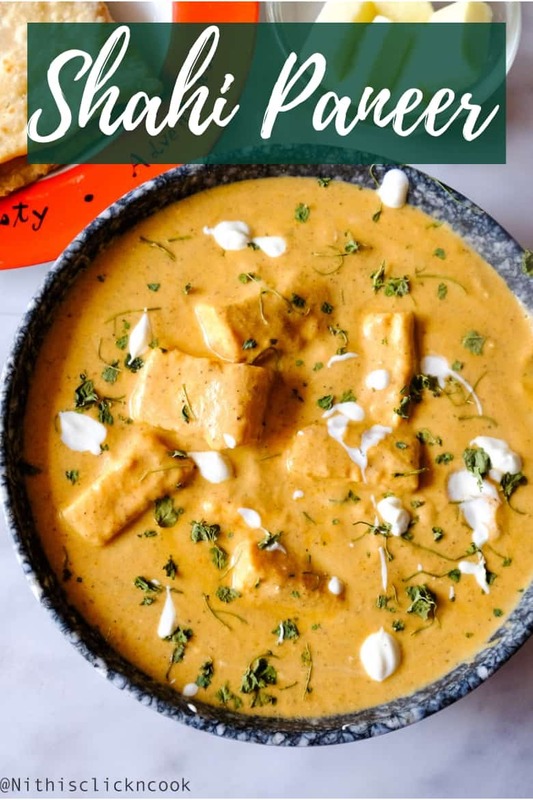 How do you serve Shahi Paneer? Serving Suggestion: You can serve shahi paneer with Naan bread, Roti, Pulao, Rice. 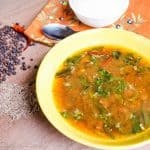 What is the best substitute for paneer? 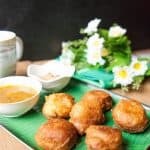 You can substitute with Tofu,also known as bean curd. 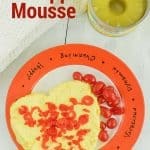 Are cottage cheese and paneer are same? Where do I get Paneer? Or can I make it at home? Yes, you can get paneer /cottage cheese from your local supermarket or your local Indian grocery store. 2. Once, it starts to curdle, turn off the heat. 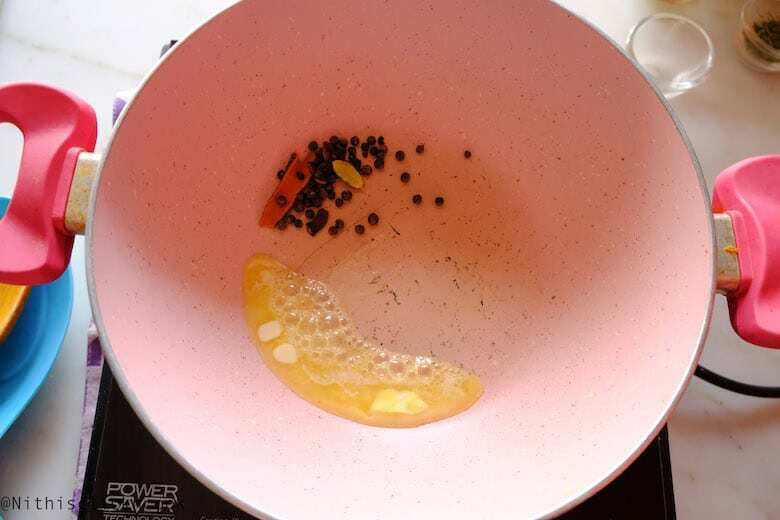 Pour it in a thin cheesecloth lined over the colander and rinse in running water to remove the smell of the lemon juice. 3. Make a tight knot to a cheesecloth and squeeze more liquids. 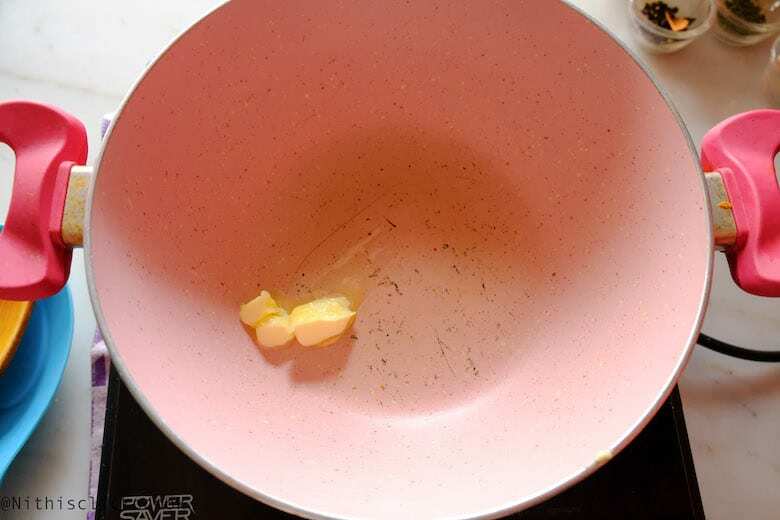 Place the muslin cloth on the plate with weight/heavy object on top. Let it sit for an hour. 4. 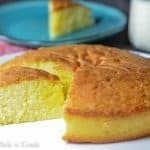 Remove the muslin cloth, you get the thick creamy panner is ready!. 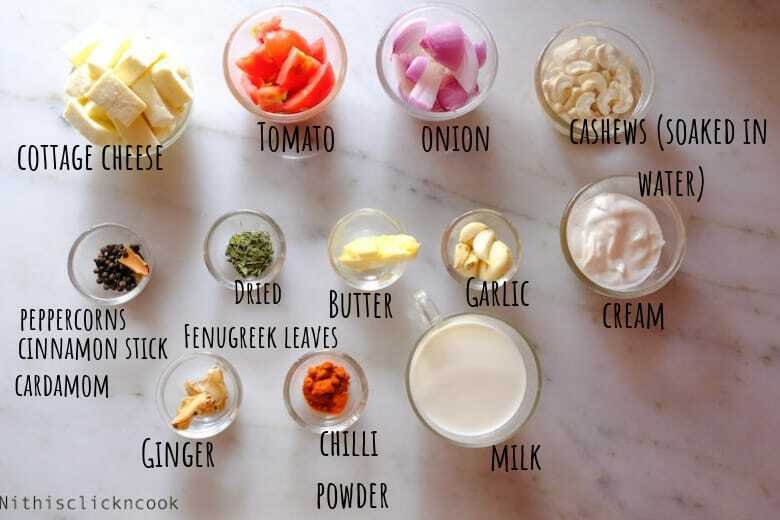 From 1 litre of full-fat milk ideally, you should get 100gms of paneer. Soak cashews in water for 10 mins. 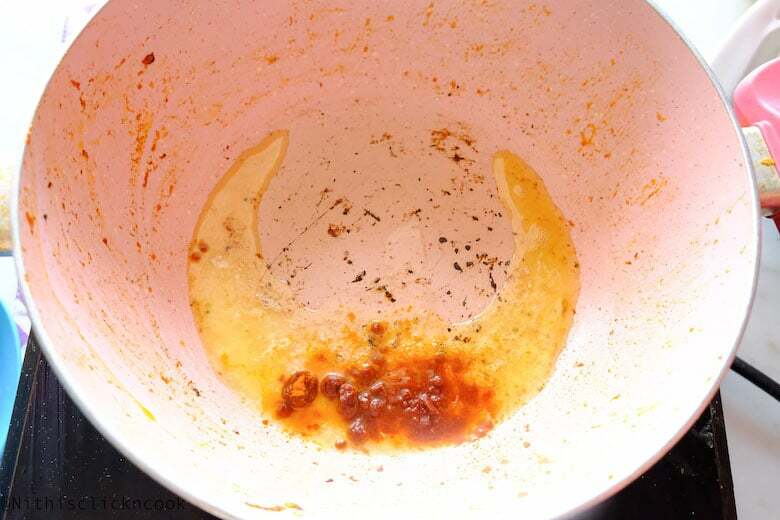 1.Heat up butter add cinnamon, cardamom, peppercorns and sauce for few seconds. 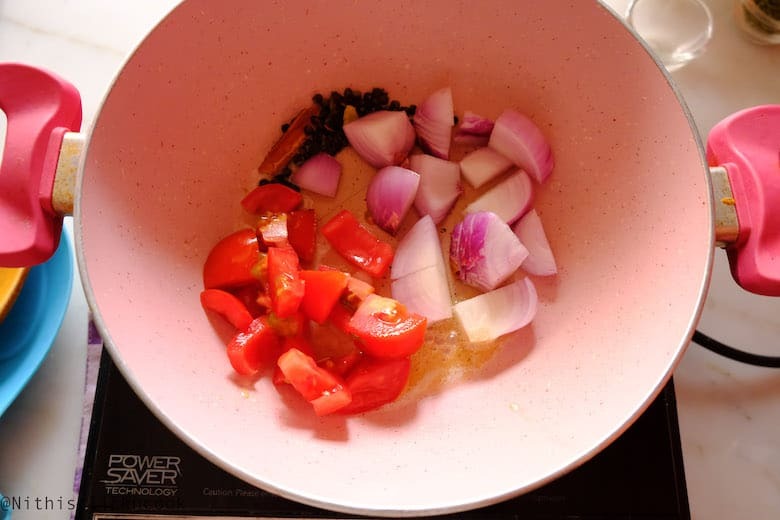 Add diced onion, tomato, ginger, garlic and saute until onions turns translucent. Turn off the heat. 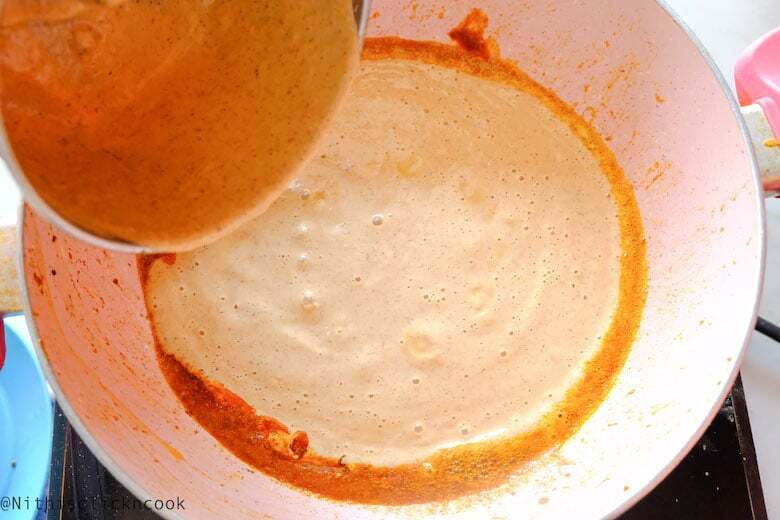 Add to the blender and soaked cashews along with water and Grind to a smooth paste. 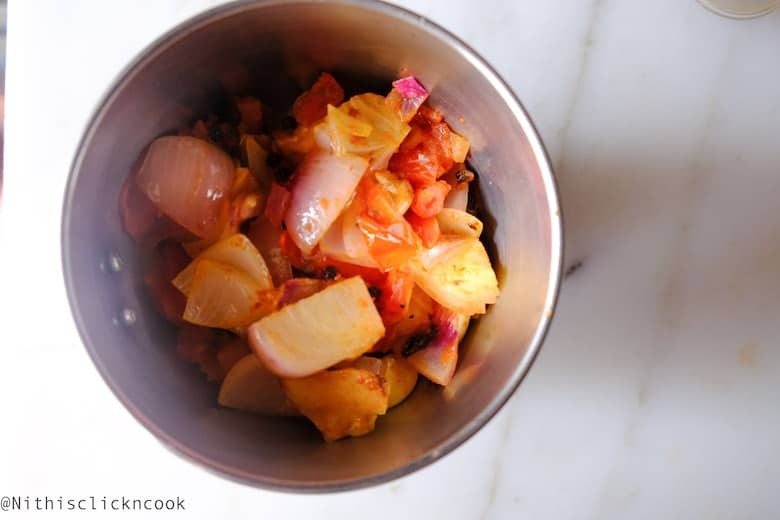 Onion-tomato paste is ready. Keep aside. 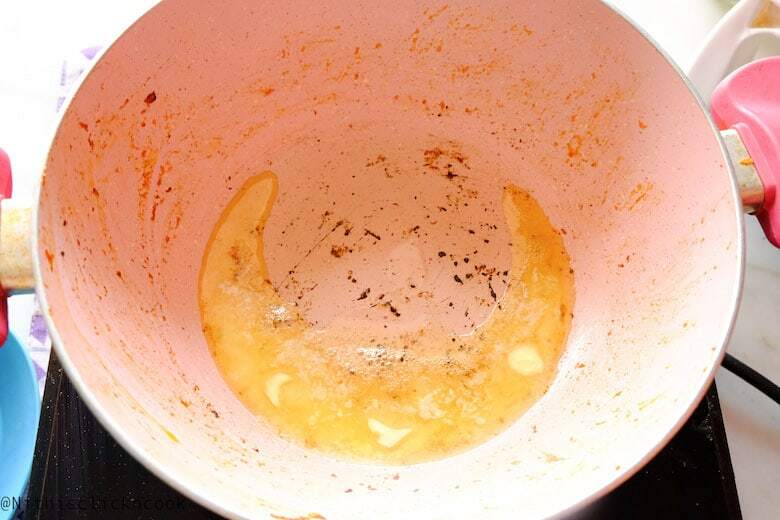 Heat up butter, add chili powder, saute for few seconds over a low-medium heat. Add paneer pieces and milk.Gently give a stir. 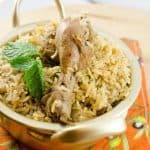 Cover and cook for 5 mins. Open the lid add in fresh cream and sprinkle some crushed fenugreek leaves. 1. Shahi paneer with almonds: Soak 5 to 6 almonds along with cashews in a bowl of water. 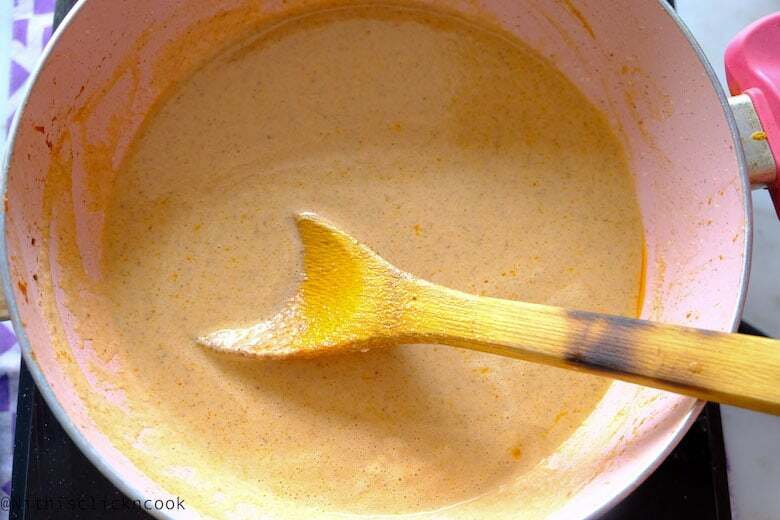 This makes the gravy super-rich and delicious. 2. Shahi paneer with capsicum: You can add capsicum along with paneer pieces and cook till the capsicum is slightly crunchy. 3. 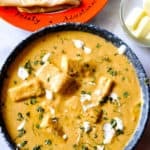 Shahi paneer with khoya: Khoya or mawa is the dried evaporated milk solids If you would like to add , mix 3 TBS of grated khoya once you add the onion-tomato paste and proceed with the method. 4. 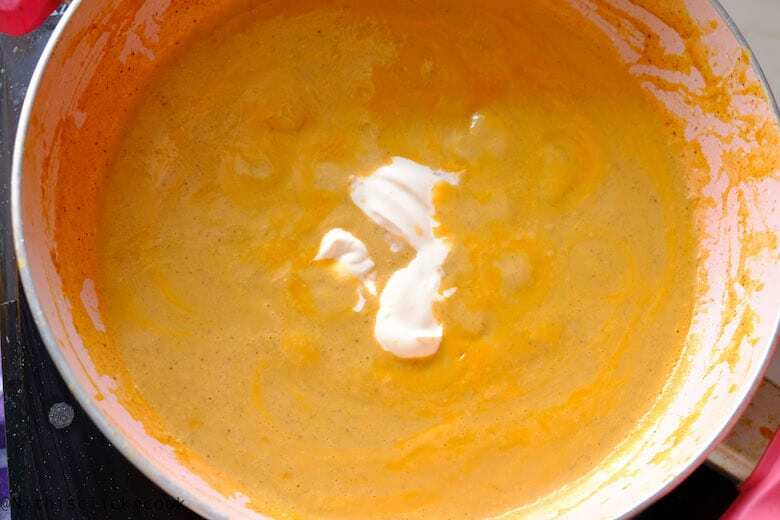 Shahi paneer with yoghurt: You can add 2 tbs of yoghurt in gravy once you saute onion-tomato masala. 5. 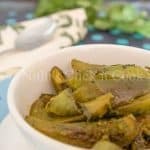 Shahi paneer without onion-garlic: You can skip onions & garlic for this recipe and proceed with the cooking. You can double the number of tomatoes and 1 tsp of sugar to control the sourness. This way we get yummy shahi paneer without onions &garlic.